for a quick minute before we head out on another family vaycay. We just got back from Montana. And it was awesome. Five days on the most gorgeous lake ever with my parents, siblings, nieces and nephews. Watching my babies get up on the knee board for their first time. They loved it and I was a proud mama. Soaking up the rays and enjoying a little R & R.
And last, but certainly not least, enjoying some good old fashioned bonding time with my family. It was such a nice week. We're off again this afternoon to hang out with my husbands family at a nearby cabin. Things are busy, busy, busy around here but I'm trying to squeeze in some "work" (que the air quotes) around all the fun we're having! And of course, Leanne's. 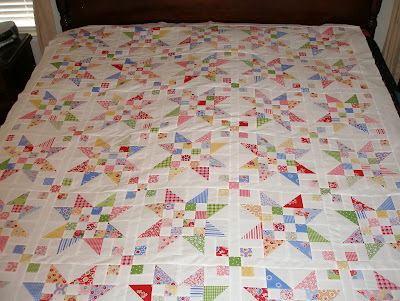 When I was debating about whether to make mine a table topper or a big quilt, she inspired me to "go big or go home"! 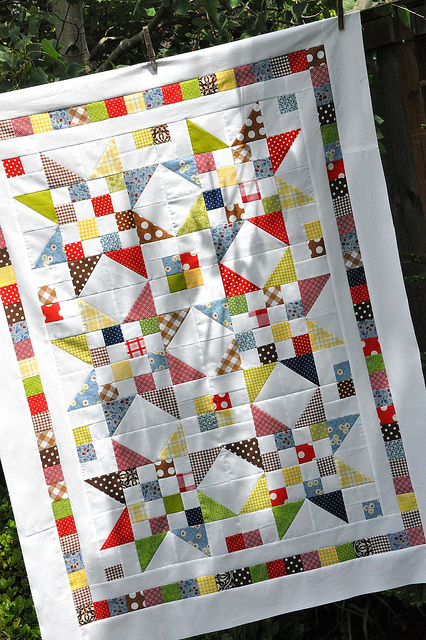 I love seeing all your projects using my patterns and tutorials so keep 'em coming! WE are a lake loving, water sporting, mountain kind of people!!! That lake looks beautiful. We go up near Yosemite every year to a lake called Bass Lake. And we live near Big Bear Lake and spend a lot of time there. Were you, by any chance, at Flathead Lake? I visited there last summer (cousin has a "cabin" on the lake). Beautiful!! 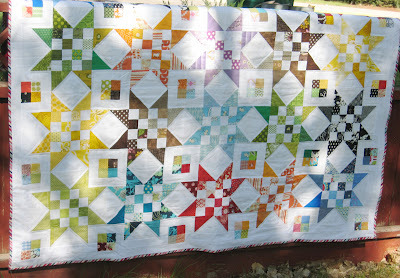 The Scrap Jar Quilts are very nice! Thanks for sharing. Glad to see you enjoying the weather and chilling out! I can imagine the wind in my hair! I love boat rides! Those kids look over-joyed to be on that tube. Its like a permanent smile plastered on your face all day long. Or at least that is how I remember it as a kid. Good times for you guys! Have fun out @ your cabin! Lovely pics, lovely quilts too! 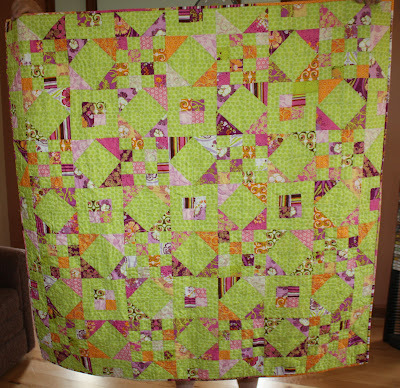 Wow Amber, all those scrap jar quilts are beautiful.You must be proud of yourself for designing such a beautiful pattern. 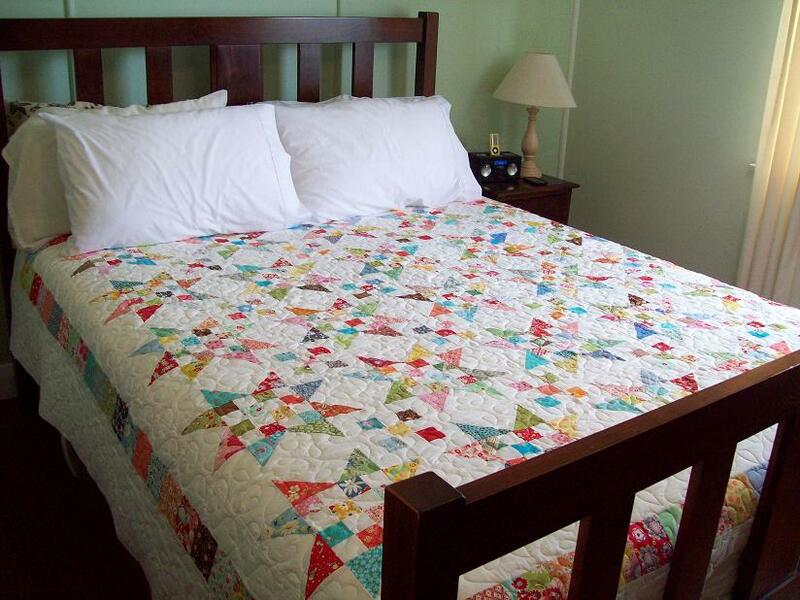 I adore my quilt. This is such a great and versatile pattern. Love them all but the one on the bed is killing me. You certainly started an epidemic Amber! 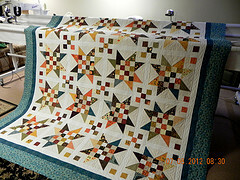 I admire your generosity in sharing this pattern - it's really great - and next up in my sewing room.